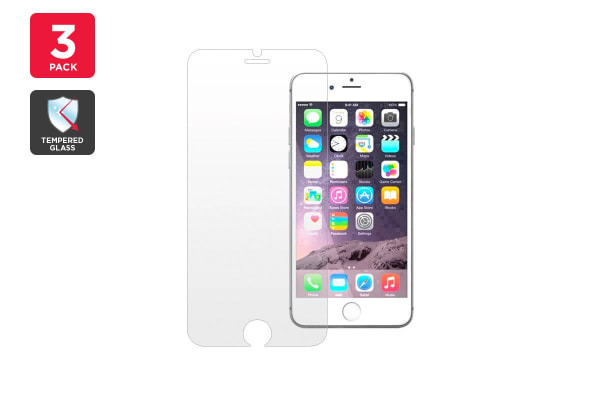 Keep your iPhone 6/6s screen in pristine condition with this hard tempered glass screen protector with an oleophobic coating. Get the Premium Tempered Glass Screen Protector to protect your precious phone from accidental smashes, scrapes and scratches. Made from tempered glass with a surface hardness rating of 8-9H, it is three times stronger than a regular PET film screen protector. Plus, in case you accidentally drop your phone, the impact is uniformly distributed over the tempered glass reducing the chances of damage to your screen. Our Premium Tempered Glass Screen Protector is equipped not only to prevents scratches but also smudges and fingerprints due to its oleophobic coating. The pack includes an application kit, microfibre cleaning cloth and coloured button protectors that make it easy to keep your iPhone 6/6s shining like new! A scratch resistant coating helps your screen protector last longer before needing to be replaced.